Week UK statistics were released again before noon yesterday. This time, the retail sales index dropped almost twofold. Then the favourable data on the US labour market helped the dollar to put increased pressure on the GBP/USD. 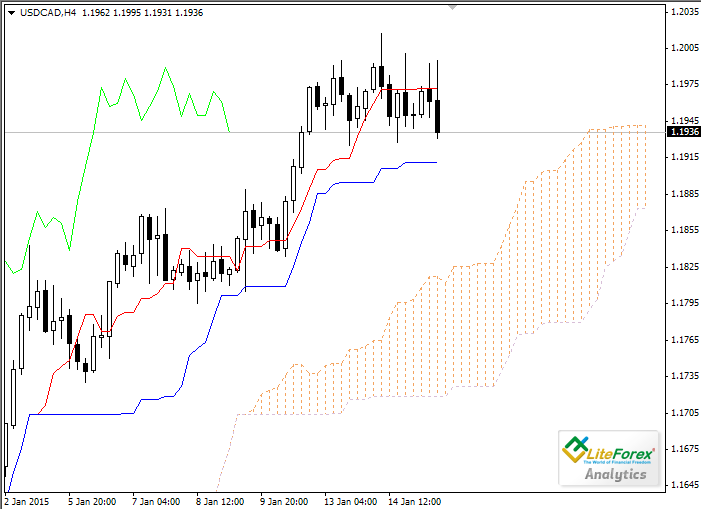 The pair broke a few important support levels and dropped below 1.5030, and then partially recovered losses. The pair has been trading in a narrow sideways range of 118.80-117.25 for 2 weeks. The Japanese currency has made several unsuccessful attempts to recover, but has not managed to reach a level of 117.25. The 2-week absence of important macroeconomic data on Japan and the US decreased trading volumes, as investors focused on European leaps. Let’s look at the four-hour chart. Tenkan-sen line has crossed Kijun-sen from above, giving a singal to sell, but then both lines turned upwards. Chinkou Span line is crossing the price chart from above, current cloud is ascending. 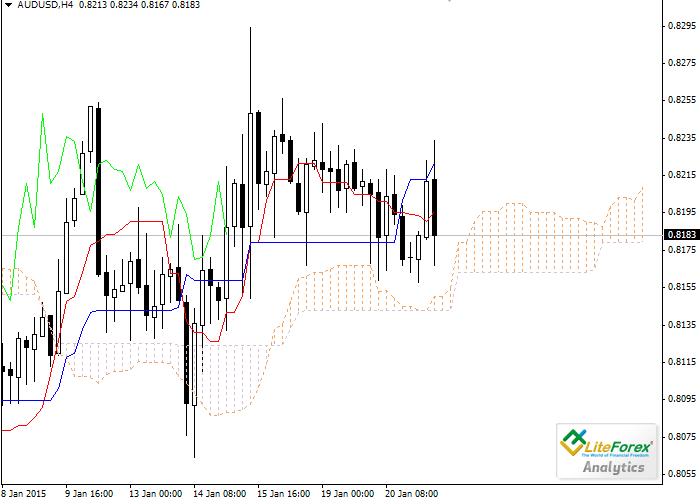 The closest resistance level is Tenkan-sen line (0.8196), upper border of the cloud will be a support level at 0.8151. Last week, the XAU/USD managed to break the level of 1245.00 that coincides with 61,8% Fibonacci level and serves as a powerful resistance line. Afterwards, gold faced a level of 1260.00, which was broken as well. Finally, the pair traded at about 1280.00 at the end of the trading session. Let’s look at the four-hour chart. Tenkan-sen line is above Kijun-sen, they are both horizontal. Chinkou Span line is above the price chart; current Kumo-cloud is ascending. The pair is consolidating between the red line and the blue one, which become resistance (1.1972) and support (1.1911) levels respectively. 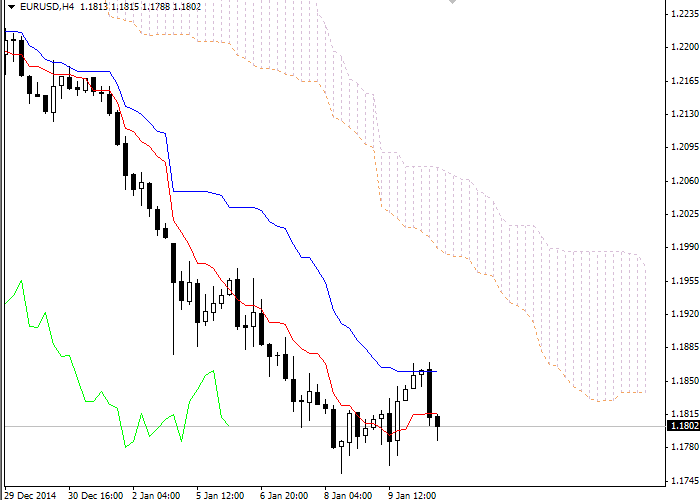 Yesterday, trading GBP/USD was characterized by multidirectional dynamics. Before noon, the pair fell against a backdrop of UK negative statistics. According to that information, the consumer price index declined to 0.5% against a previous value of 1% in December. Then the pound managed to win back lost positions promptly, market participants fixed profits, and the rate reversed upwards. The current trading session started with a jerk when the USD/JPY tried to consolidate above a level of 119.00. But then the pair slumped after the opening of the American session. Today, the pair managed to drop below a level of 118.00, but promptly moved back and is trading at about 118.40. Let’s look at the four-hour chart. Tenkan-sen line is below Kijun-sen, they are both horizontal. Chinkou Span line is below the price chart; current cloud is descending. Despite the correction, the pair wasn’t able to break through the resistance level of Kijun-sen (1.1861). One of the previous minimums of Chinkou Span line is expected to be a support level (1.1745).